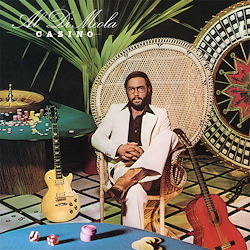 ﻿Master of the strings, Al Di Meola, who turn his back on over-ambitious manual dexterity as in "Elegant Gypsy" to concentrate more on musical substance, demonstrates his intensive work with the material in the follow-up album "Casino". For example in "Egyptian Danza", an amalgamation of melodies which circle around one another and evoke with light electronics the contrasting worlds of the Orient, Occident and New World. A far sharper sound is conjured up in "Chasin‘ The Voodoo", which escalates to an extremely tightly-knit continuous fire, infused with the maestro‘s familiar guitar sound. Di Meola - with himself alone - combines the idea of multiple rhythms and parts: In the "Fantasia Suite For Two Guitars", four miniatures with percussive zapateado and whirling flamenco, he accompanies himself thanks to multi-tracking. All great stuff, but the best comes last: in the lengthy title number "Casino" all powers come together to create a magnificent performance with varying tempos, layered patterns, deceptive metrical changes and, of course, guitar playing of the highest order.